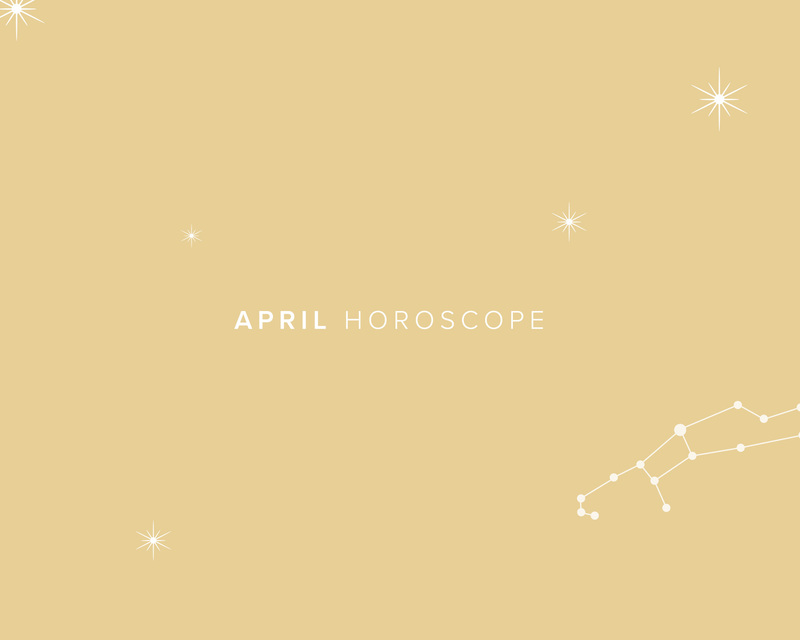 April Horoscopes from Anastasia's own resident astrologist, Patrick Lewis, are in! Read on to see what the month has in store for you. Keep pushing forward with the projects that are important to you. We are in your season: time to win and take action in every aspect of your life. If you need to make an important decision this year, you have until May 1st to make it. Be open to the positive changes in front of you, then take every possible advantage. This is you time of year for acceleration and change. There is opportunity for new projects, and a time for finding a new passion. Improve your love life by focusing upon the relationships that you have in both your personal and work lives. Often times, you are stubborn and despise change. But maybe today, choose compromise in order to enact change and move ahead. You are known for your communication, but this month it is time to focus on the expression of your desires. Let everyone know what you want and what you expect. This month, your mind is clear and action-oriented. Use this state to your advantage. Take a deep breath, stay focused, and use this wave of ambition to chase after success. You are the one that the world around you depends upon. You take care of and resolve all the problems around you. Your true power is in your inner self, and when you focus within your heart, you harness your power and can come up with solutions to most problems. If you have any inner gut feelings, this is the time to check them out. There is power in your sign when you move and go and apply yourself. The problem is getting up to act in the first place. An entire month of new opportunities is before you! You probably feel that things this year are crazy for you — and they have been! But this month Mars (drive, energy) is bringing new opportunities into your life. It is time to go, go, go with your projects and to make things happen in your life. You hate loosing, and you love to win. Time to win. You are always planning and organizing everything around you. Everything is correct and right. This month, it is time for less thinking and more action. Thinking and organizing is great, but moving and acting upon what is in your mind is everything. Remember, paying attention to your inner intentions is the surest way to success. You like your world to be full of harmony and balance. Everyone is happy and content around you — except you. You are there for everyone all the time, but not always there for yourself. Center upon your self, decide what you want this month, and then move into action to make your life better. The more time, money, energy — actually the more of everything that you have — the better it is for the whole world around you. You are so very powerful when you focus upon yourself instead of worrying about what others think, say, and do. The power of the Scorpio is in your willpower. When you make a deep inner commitment and say, "I will do this", it is hard for the rest of the world to stop you from achieving your ends. Use your power, and then make things happen. You are filled with the fire of life. When you are moving and in action, you are one happy person. When you are unhappy, there is no movement or action in your life, and things are at a standstill. It is always better for you to do anything than to do nothing, for when you do nothing, your Life is at a standstill, which is your ultimate unhappiness. This is a perfect month for you to achieve and move your ambitions ahead. You like everything perfect and correct before you move in any direction. But since this is the month for making things happen, maybe you don’t need to continue to plan and organize quite so much. Jump into action and you’ll be sure to move your life’s achievement to a higher level. You always like doing what you want, and always express what you think to others. In fact, you are great at expressing your ideas to the entire world. So express those unique thoughts, share them with society. This month they should open up to your proposed possibilities and give you the credit that you so rightfully deserve. You are too agreeable to the world around you. You also have a sweetheart of a personality (though with some sharp edges) and most people like you when they first meet you. But this month, focus more upon yourself and your own ambitions. What others think, say, and do this month is none of your business. What you think, say, and do is everything.